When CB and I decided to throw a small Christmas get together, we first of all had to agree on The Roast. I use capitals here because I know how contentious the Turkey/Meat-Other-Than-Turkey question is. My tolerance for turkey is still in its infancy and so I lobbied for something else. And when in doubt and looking for something decadent, I generally turn to Nigella. 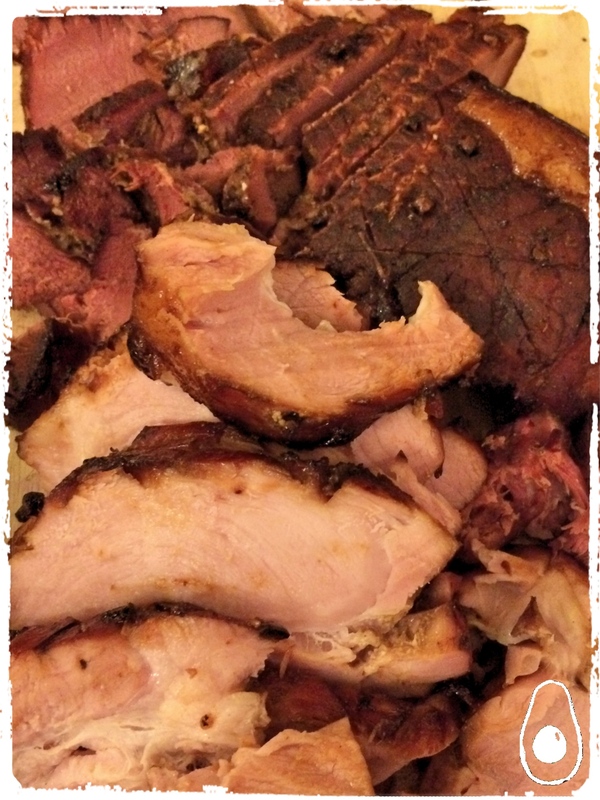 If you haven’t heard of or tried Coke Ham before, then do it. Don’t think too hard about the idea of boiling a joint of meat in a saucepan full of fizzy drink – it doesn’t sound like the classiest of ideas but it works. 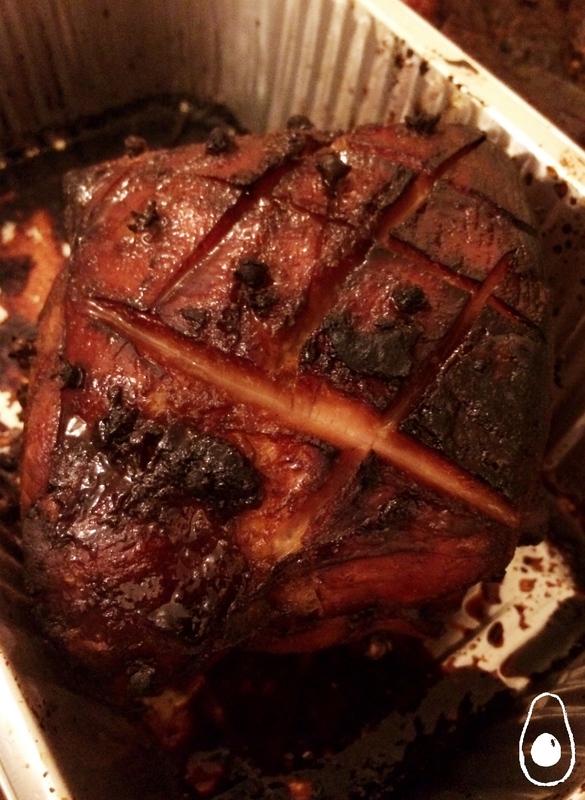 The gammon joint doesn’t need to be fancy at all – go for a basic smoked joint. For my American friends, make sure it’s uncooked before you start. I think this dish probably deserves an outing during the rest of the year but we daren’t – when it comes to juicy roasted meats, we don’t need any further excuses. Serve this with a creamy side dish like cauliflower cheese, dauphinoise potatoes or our delicious Celeriac and Beetroot Gratin. Put the coke, ham and onion in a large sauce pan, cover and simmer for 2.5 hours. Skim off any of the scum that rises to the top. Preheat the oven to 240 degrees. When finished, slice most of the fat off and score the joint in diamond shapes. Push a clove into each diamond. Cover the ham in treacle, then the mustard powder, then the brown sugar. Put this in a foil lined tray or a disposable foil tray and bake for 20 minutes or so until the top of the joint is bubbling nicely. Baste a few times throughout to ensure the whole joint is moist. Next It’s a MadAvocado Christmas!